This entry was posted on July 27, 2011 at 9:10 pm and is filed under classic rock, folk music, folk rock, metal odyssey, Music, rock and roll, rock music, rock music news with tags billboard number one songs, brand new key, classic rock, folk music, melanie, metal odyssey, Music, soft rock music. You can follow any responses to this entry through the RSS 2.0 feed. You can leave a response, or trackback from your own site. 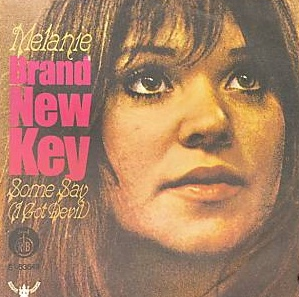 Melanie has such a sweet voice – and I did like her singles back in the day. However, being English we had to suffer a ‘remake’ of Brand New Key by a novelty act called The Wurzels. They re-named it “I’ve got a Brand New Combine Harvester”. It was awful, it went to Number One, and I’ll never forgive them for basically nuking my memory of the original. It was many years later (the cover was in 76 I think) that I inadvertently heard Melanie’s original on the radio, and realized what a great track it really was. Some things of beauty should be left alone. 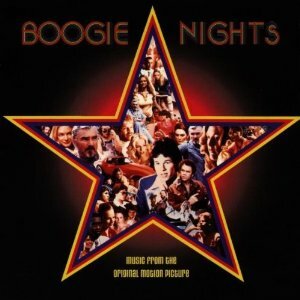 I honestly never heard the song until Boogie Nights….. So true it is Kev. That moment must have made you proud. Whoa!! Kev, you must be so proud of your daughter! Yes, she can sing and play da’ bass! She must be a fan of Kittie too? Is her band called Theft Of A Doll? (just looking to confirm). Is she still Rockin’ with this band? I went to the Theft Of A Doll myspace… it does state they split up. I sure hope your daughter is moving forward with a Rock/music career… too much talent there!